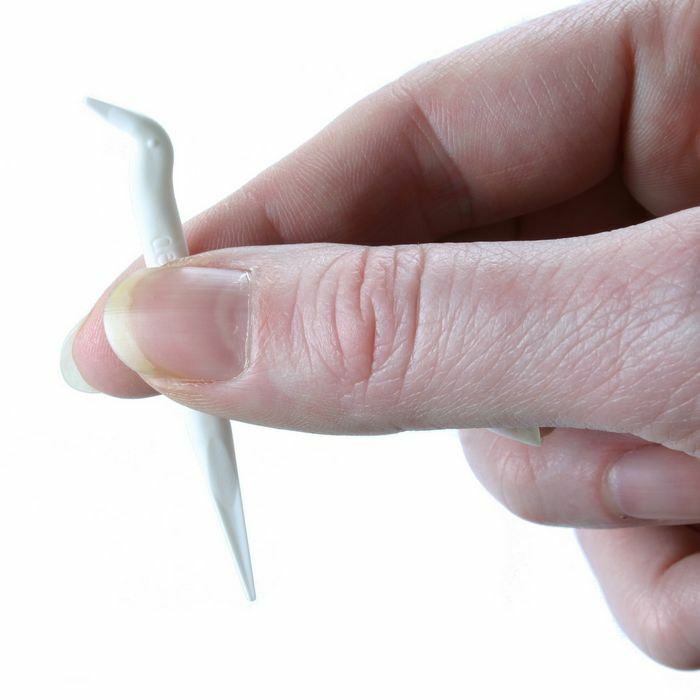 Flexible Patented Toothpick - The Original! Avoid bits of food between your teeth causing caries and bad breath. 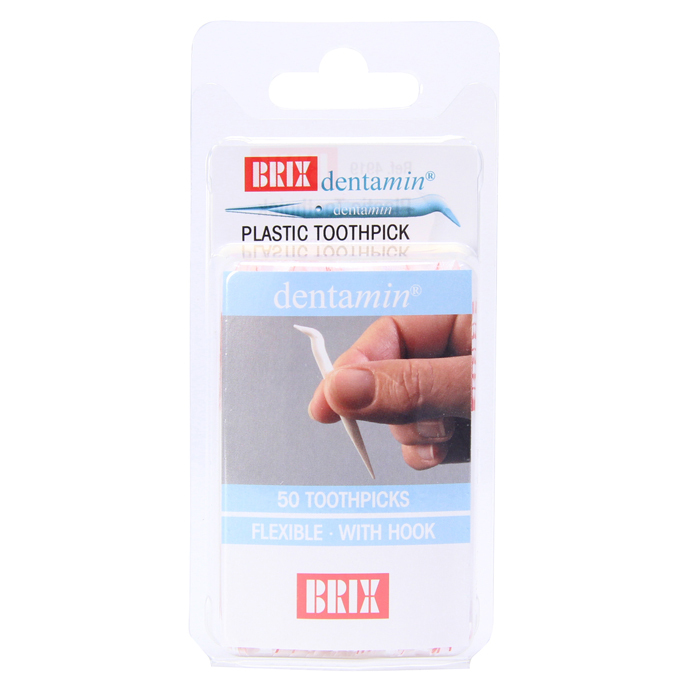 Due to the special hook at the end, the flexible Dentamin toothpick makes it very easy cleaning the teeth on both sides. 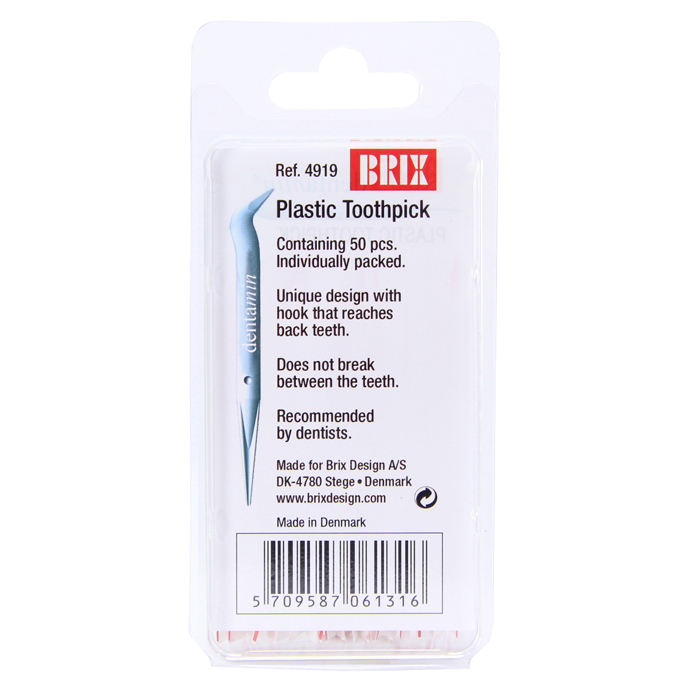 Does not break between the teeth like wooden toothpicks, and is easy and hygienic to have in a pocket, a purse or a bag due to the plastic wrapping. The unique thing about the Dentamin toothpick is the special hook at the end that makes the cleaning of your teeth very easy - even at the backside. 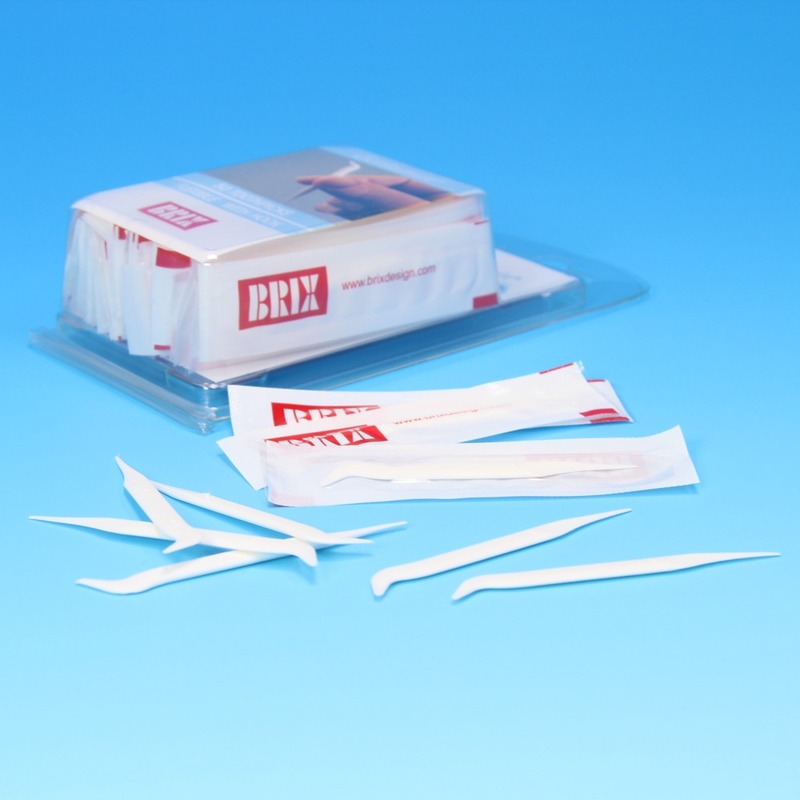 The Dentamin toothpick can be used as a traditional toothpick as well. With its unique design and hygienic wrapping the patented toothpick is an ideal partner in good mouth hygiene.